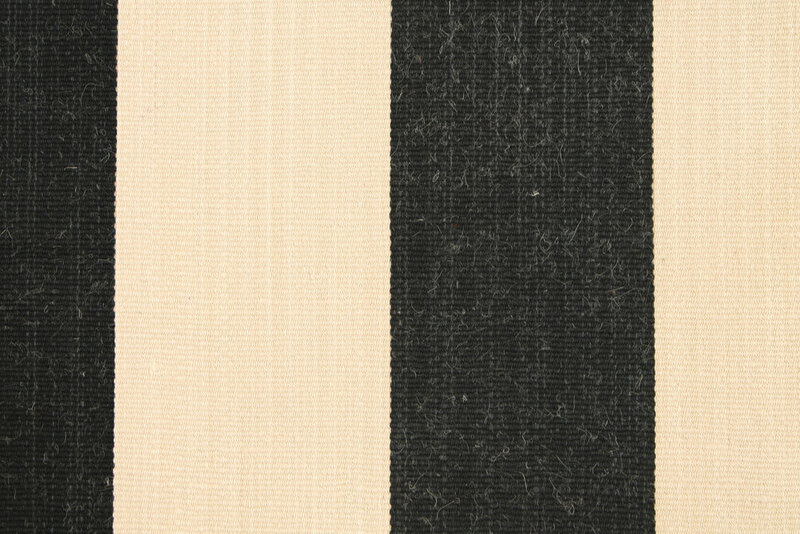 Atlas Stripe is a classically proportioned stripe in a sturdy ottoman weave inspired by striped berber rugs from the Atlas mountains. The use of tie and dye yarns gives this simple stripe design remarkable depth, and its bold color combos suit a wide variety of design vocabularies, from contemporary to traditional. *Kettlewell Collection textiles are handcrafted with care by true artisans. 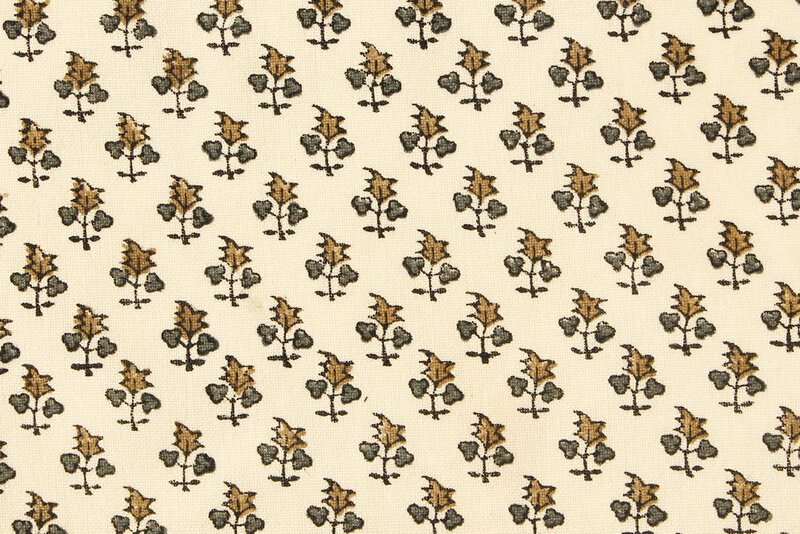 Due to the use of natural fibers and dyes, variances in color, repeat and width may occur. This is inherent to the nature of these fabrics and in no way constitutes a flaw. We kindly suggest that you request a cutting for approval before ordering. 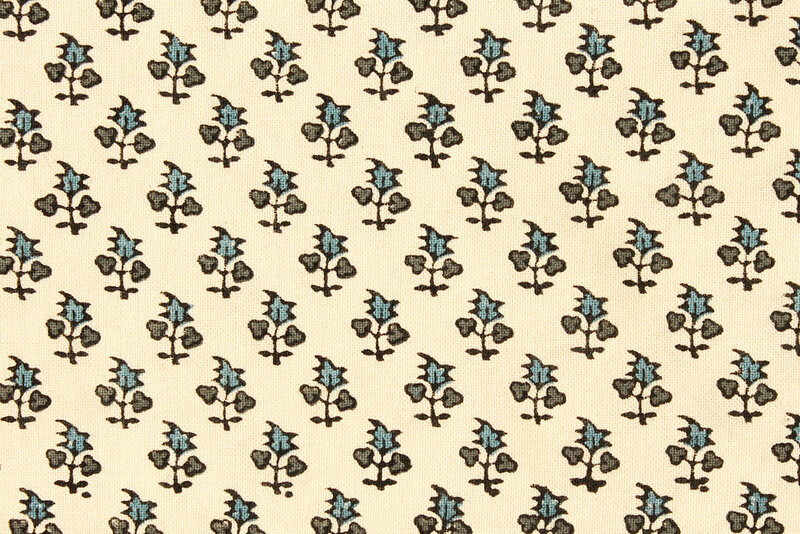 Mobby Hand printed using traditional block printing techniques, Mobby is a small-scale floral on a cream cotton ground, available in 3 easy to use color combinations. This go-anywhere botanical is easy to use - modest and exuberant, thoughtful and joyfully happy. Aiko. 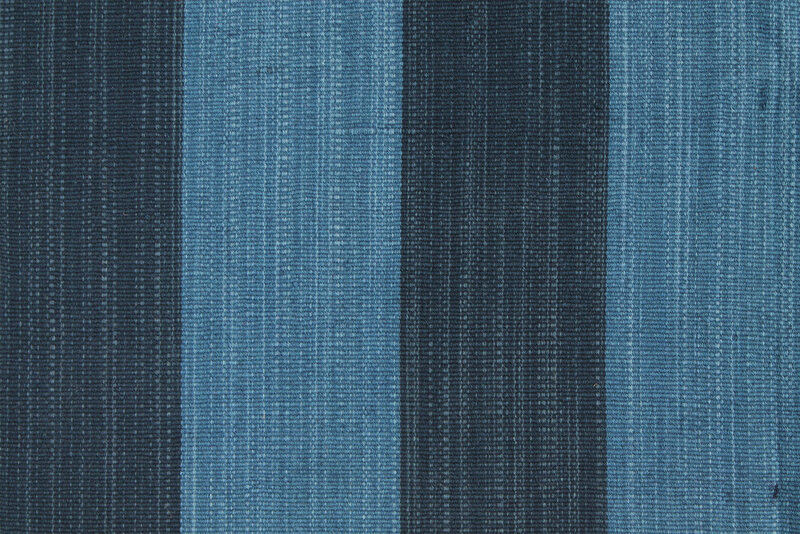 Inspired by traditional indigo fabrics from many different cultures, Aiko is a complex stripe in a lightweight linen cotton blend. Aiko’s slubbed yarns are hand-dyed to add character and depth to this remarkably authentic textile, a perfect example of artisanal weaving at its best. 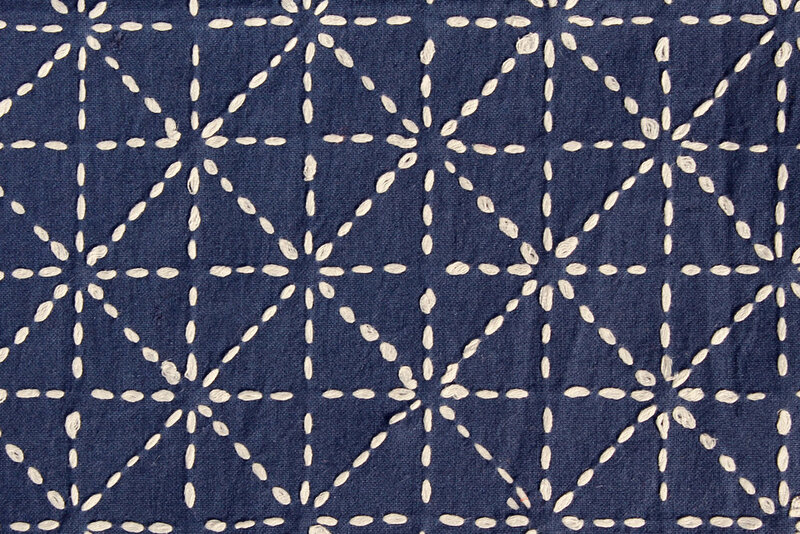 Kimono is a geometric hand-embroidered cotton that feels at once ancient and futuristic. The rhythm and layout of its stippled embroidered outlines gives this fresh textile a soothing zen-like quality. The inspiration for Kimono comes from a vintage children's kimono given to Allison by a dear friend. Pichu is a large scale pattern/plaid inspired by an antique textile document from south America. Available in two colors, Pichu is suitable for dramatic drapery, upholstery and decorative purposes. This fabric is woven by artisans from carefully tie and dye yarns to provide added dimension and patina. The result is striking, bold and truly one of a kind. 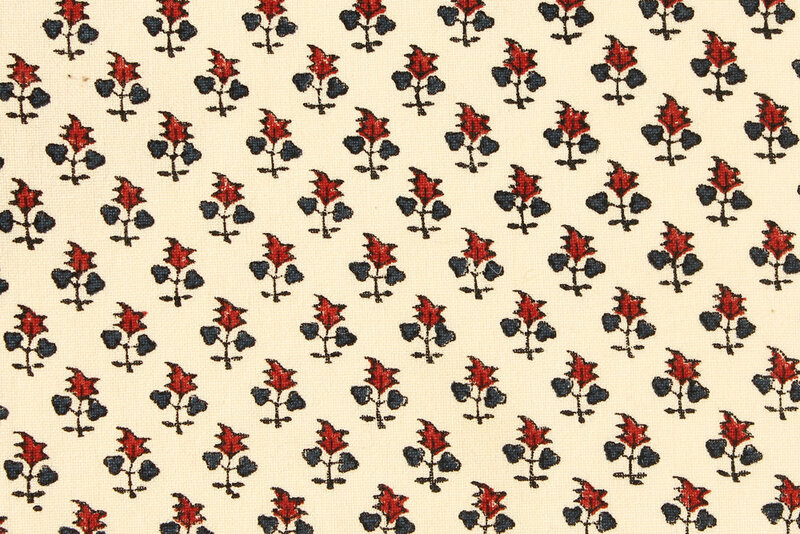 Sashikat is a small-scale two-tone ikat woven, with an hand-embroidered horizontal stitch. Suitable for both upholstery and drapery, Sashikat is available in 5 colorways that coordinate beautifully with the other designs in the collection. A large-scale geometric embroidery, Nala is a unique take on tribal textile design, featuring a variety of hand-embroidered stitches over a sturdy cotton strie ground, woven by artisans using meticulously tied and dyed yarns to provide added dimension and patina.